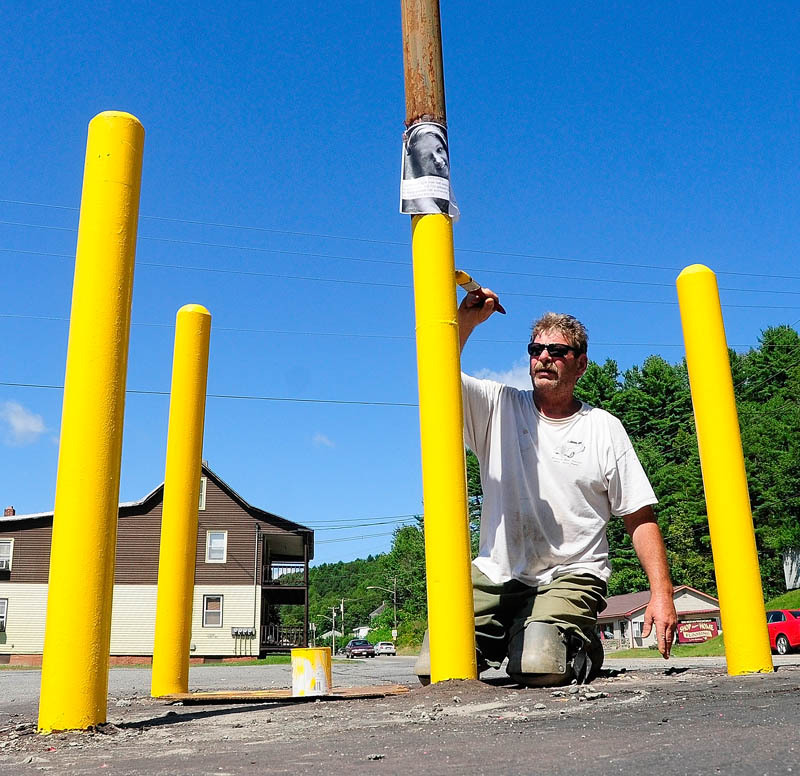 Bob Eldridge paints a sign post on Friday at College Carryout on Mount Vernon Avenue in Augusta. Bob Eldridge paints a sign post on Friday at College Carryout on Mount Vernon Avenue in Augusta. He said that he was going to paint the upper part black.